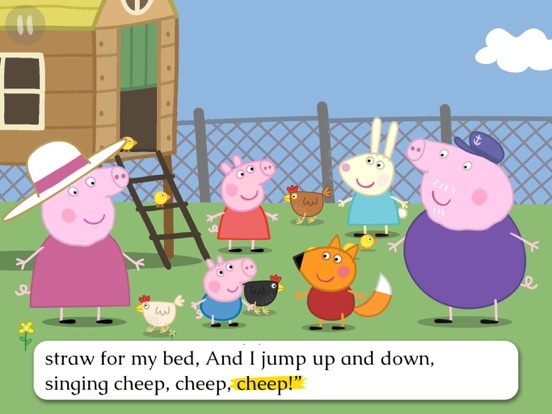 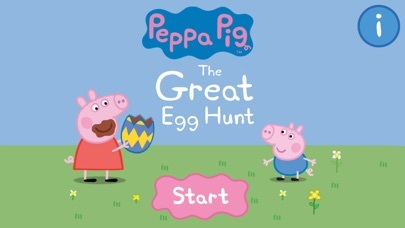 Join the Great Easter Egg Hunt with Peppa and George in this interactive storybook. 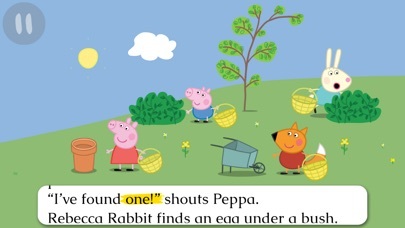 Grandpa Pig has organized a Great Easter Egg Hunt for Peppa and her friends. 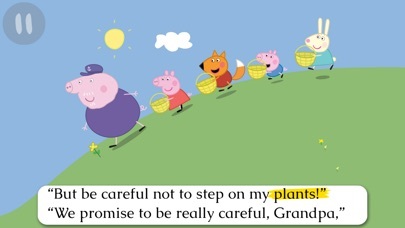 But they find more than chocolate eggs at the end of his garden in this delightful interactive story. 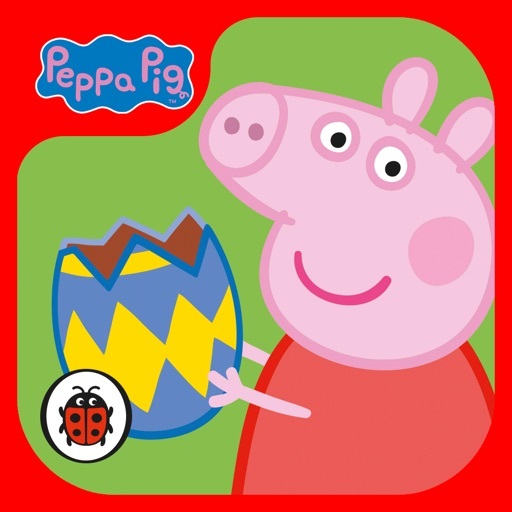 Help your little piggies explore the garden, search for chocolate eggs and much more with simple tapping and swiping motions. 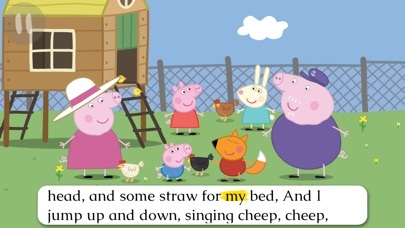 This Easter-themed story is fun all year round! 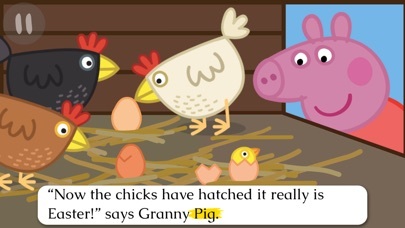 • A great storybook for Easter, bedtime or anytime!